In 81 ODIs, de Kock has amassed 3,376 runs at an average of 43.84 and a strike rate of 95.20. In the past year, his returns in 24 matches have been 1,057 runs at an average of 45.95 and a strike rate of 104.03. The numbers depict the fact that he has been instrumental in South Africa's recent success. He is also fortunate enough to have a senior opening partner in Hashim Amla. The duo would hold the key for South Africa in this tournament as well. Faf du Plessis, who has led the side multiple times in AB de Villiers' absence is another vital resource for the South Africa. In the last 12 months, du Plessis has scored 1,082 runs in 22 matches at an average of 60.11 and a strike rate of 92.55, higher than his career average of 43.76 and strike rate of 87.40. But his numbers in English conditions are not so overwhelming. In 11 matches, he has scored 229 runs at an average of 25.44. If he improves on his numbers in England, South Africa will comprise of a formidable top order. To support this fear inspiring top order will be one of the modern-day greats and the current No. 1 batsman, AB de Villiers. In JP Duminy and David Miller, South Africa have two dangerous batsmen in the middle order. Duminy's offbreaks are likely to come in handy for de Villiers. With an average of 39.01 and a strike rate of 103.97, Miller is a real threat down the order. In the last 12 months, the same numbers have increased to 69 and 122.27 respectively. Chris Morris and Andile Phehlukwayo are two similar kinds of players. Players who can use the long handle in the slog overs and then bowl their full quota of 10 overs. Kagiso Rabada has been a revelation for South Africa since his debut. He is likely to cherish the English conditions. Morne Morkel will be playing an ODI after more than 11 months. Someone of his experience should not be sitting on the bench in the quest to play an all-rounder who will strengthen the batting order. In 108 ODIs, Morkel has 181 wickets under his belt at an average of 24.60 and a strike rate of 29.7. Last but not the least, the current No. 1 bowler, Imran Tahir, would want to deceive the opposition batsmen in the spin webs caused by his variations. Farhaan Bhardien has been travelling with the South African squad for quite sometime now. He would be hoping for more number of opportunities coming his way in this tournament. Wayne Parnell and Dwaine Pretorius add to the list of South Africa's fast bowling all-rounders. Both of them might also get a look-in as the tourney progresses. Keshav Maharaj must be high on confidence after making his ODI debut against England yesterday. He, too, would be looking for some chances coming his way. 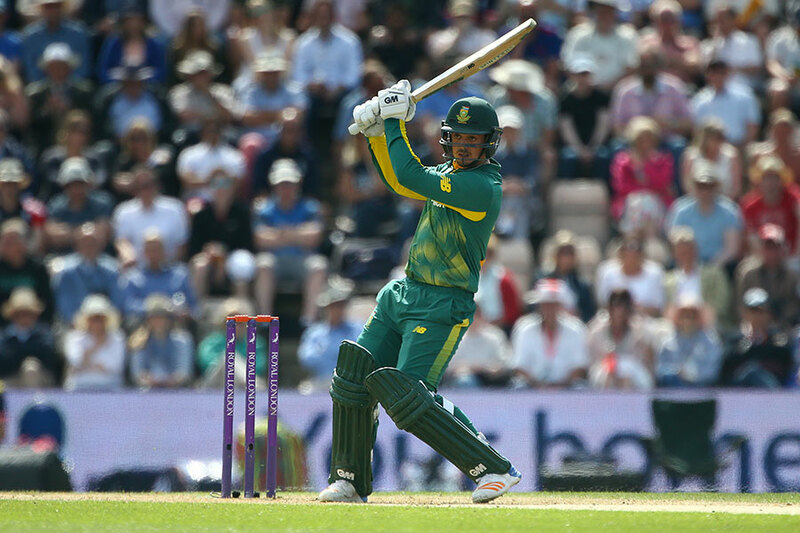 03/06/2017 (Saturday) - Sri Lanka vs South Africa at The Oval, London.